Forever on location: Servus, Su! Starting out as a photographer, Wolf Suschitzky´s illustruous career as a cameraman spanned over half a century. 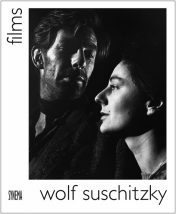 Suschitzky shot documentaries in mines, slums, schools and military hospitals, advertisements for Pirelli and children´s television programs as well as some of the most unforgettable classics of cinema – including the iconic gangster masterpiece Get Carter. He worked with Otto Neurath, the developer of the picture language system Isotype and Carl Mayer, the most prolific screen writer of the silent era. He also collaborated with Paul Rotha, one of the fathers of British documentary film and the legendary lion naturalist Joy Adamson as well as the great Irish dramatist and memoirist Seán O’Casey. In his time, he came across working with a string of internationally renowned actors such as Michael Caine, Diana Rigg, Vincent Price, Tracey Ullman, Trevor Howard, Susannah York, Robert Morley and John Cleese. 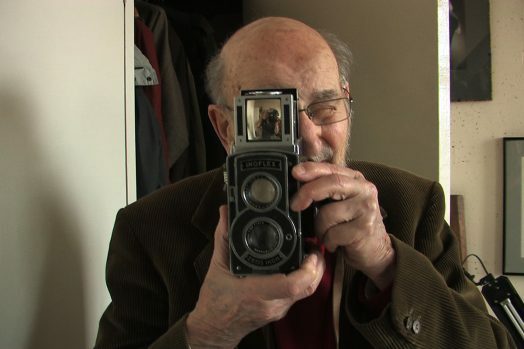 Joerg Burger, who is himself a photographer and cameraman, portrays Wolf Suschitzky’s eventful professional and private life. An homage to a great and modest man of film. A magical essay of Jewish despair: Fender, an old clerk in a cold warehouse, wants one of the warm sheepskin coats stacked around him. His boss refuses; Fender asks Morry, a tailor, to make him a coat, but Fender is fired and dies of cold before it is finished. His ghost returns. Montage film on the conditions of the railway after the heavy winter of 1962/63, and the slow return to normality. Academy Award nominee, Best Short Film. In Reference to Peter und Wolf Suschitzky zeigt die Diagonale’17 Auf Ediths Spuren (R: Peter Stephan Jungk, AT 2016). Edith Tudor-Hart war Wolf Suschitzkys Schwester und Peter Suschitzkys Tante.